Apax Partners has signed a definitive agreement to acquire Telemar Group from its current shareholders. The combined activities of Telemar and Marlink will create the world’s leading maritime communications, digital solutions and servicing specialist for all customer segments at sea including: Shipping, Offshore, Cruise & Ferry, Yachting and Fishing. Marlink and Telemar customers will benefit from an unmatched integrated servicing offering, covering all existing maritime communication and navigation technologies. The newly combined group will generate US $450 Million in revenues with more than 800 employees worldwide serving at least 1 in 3 vessels operating globally. The new group will be positioned to deliver unrivalled service excellence and support for maritime customers through an enhanced global footprint and worldwide sales and service locations. With a global 24/7 helpdesk, specialised competence centres, local presence on all continents and a network of 1000 service points staffed by highly qualified, certified service engineers, the group will support the global maritime business to operate smarter and safer. Earlier this year, Apax Partners completed the acquisition of Marlink, transforming it into a provider of tailored communications solutions that enable both maritime and enterprise customers to digitalise their own operations at sea and on land. The technology expertise and service delivery commitment of Marlink and Telemar, combined with established and strong satellite network operator and bridge electronics manufacturer relationships, enables the new group to bring the power of broadband communications, maritime bridge technology and service excellence to its customers globally to further optimise vessel operations and enable the digital vessel of tomorrow. “Marlink and Telemar coming together is an operation that has been carefully studied over a long period of time. It represents a new step that revolutionises the usual approach to the market and will create a group able to provide the whole spectrum of network solutions, equipment and services for all electronic navigation and maritime communications,” says Bruno Musella, CEO of Telemar. Marlink is the pioneer of business critical communications solutions for customers operating in remote environments. With 600 employees and 27 offices worldwide, the company is the largest technology-independent satellite communications and digital solutions provider serving the maritime and enterprise markets. Marlink’s multi-band communication services covering Ku, Ka, C and L-band extended with mobile and terrestrial links, enable over 200,000 customers to operate in an ever smarter, safer and more profitable way. With over 75 years’ experience in developing innovative business critical communications solutions, Marlink’s strategy is to deliver the benefits of a digital and connected world to its customers’ remote operations. 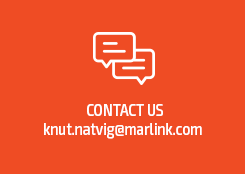 Today Marlink is the leading maritime communications and VSAT operator in the world. Marlink leverages strong partnerships with all major satellite network operators to deliver communications solutions direct to the customer and via an unrivalled network of service provider partners. The Telemar Group has been operating in the in the telecommunications and navigations systems industry for about 70 years. Telemar is directly present through 30 workshops and 13 group companies in 12 main markets worldwide. Telemar is a leading group in its markets: Maritime Ship Owners – Managers, Yachting & Mega Yachting, as well as Enterprise customers. The Telemar integrated model covers globally: design, purchase, commissioning, maintenance and repairs of communication and navigation equipment, satellite communications and digital solutions. Telemar is worldwide leader of nav&com maintenance contracts, serving about 3,000 ships and manages 10,000+ services on-board worldwide per year for marine electronics and solutions. Telemar is enabling Maritime companies’ remote operations for the digital future, through innovative applications and solutions that improve efficiency and safety of vessels’ operations and enhance the productivity and well-being of crews. Telemar is also one of the world’s major independent providers of Inmarsat and other satellite multi-band networks.